Mutual funds are a wonderful way to start investing. Direct mutual funds more so, because you pay 0 commissions, which otherwise you would have from your pocket. 🙂 But if you are new to mutual funds, navigating the maze of over 2000 funds can become overwhelming. We’ve always tried to educate investors about mutual funds, be it through our webinars or on TradingQnA and Varsity. We’re always on the lookout for ideas to make the fund discovery and selection process easier. In our endeavor to simplify the fund selection process, we’ve added a new feature to Coin. Understanding the fund philosophy and the security selection process is a really important part of choosing a fund. 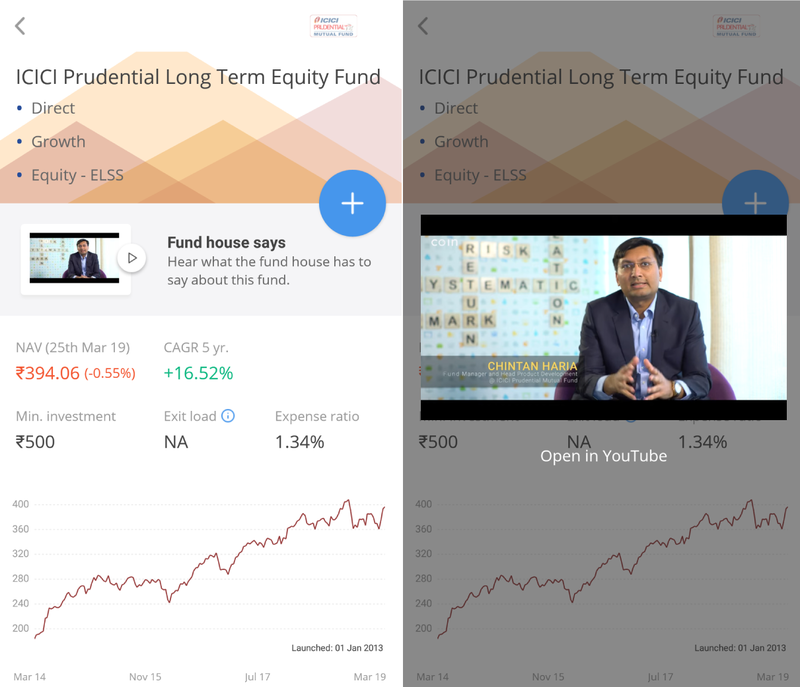 Now, you will see bite-sized videos featuring fund managers and chief investment officers explaining how the funds work and their investing philosophy when exploring funds. A shoutout to the LearnApp team for producing these slick videos. Head of Mutual Funds at Zerodha. When I'm not at work, I'm at the gym or jamming with my friends. Kudos to zerodha team and learnapp! Sir i have invested mf Rs. 5000 on 31/03/2019 but it is not show at coin. Since April 1st was a settlement holiday, the settlement cycle for mutual funds bought on 29th, 30th & 31st has been delayed by one day. The revised settlement cycle is posted here. Coin does not have STP option. How can I invest through STP? Any Solution? We’re working on STP. In the meanwhile, I’m afraid you’ll have to manually redeem and invest in the other fund. Hey Rajan, NFOs aren’t available on Coin right now, but we’ll have this soon. In the meanwhile, you can still apply for the NFO. The process is explained here. how to work in trading sector. anyone here as know how to buy a trade at right time. Excellent. I have started using coin to invest ELSS and other noteworthy MFs. Thanks for the awareness created by Zerodha through COIN. When would Zerodha get into Asset management and run funds of its own? Zerodha is already doing it via small case. I don’t think we need more amcs with same offerings in the market, just like we do not need another version of Facebook. It is a good feature which will add a qualitative feature to zerodha and set it apart from other discount brokers. I communication of believe investment philosophy is more important than the medium. Currently, we need to go to amc website, download their fund details PDF to see it. 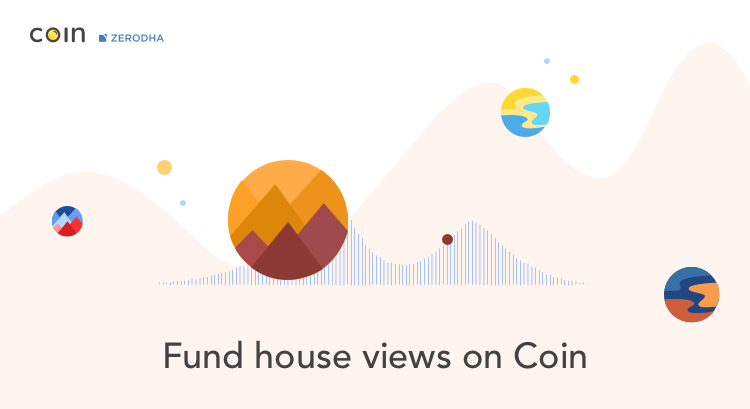 It would be great if you could add the text version of investment philosophy of each fund from the official sources directly in the fund page of coin app. That will be much better, more efficient and helpful. Hmmm… Will pass this on to the team and we’ll think about it. Also, Displaying sector wise weightage of the funds would help us plan better. How about showing sector allocation across all my investments in all my funds? Too much of an ask? I dont see anybody doing this.. It will be helpful if it is available from the website also. Is it possible to automate money transfers to my zerodha account from my bank account every week ? Yes, you can set up a standing instruction from your bank’s net-banking portal to our accounts. The account details are available here. I could see it can be scheduled from bank to your bank account via IMPS/NEFT/RTGS. Is there a way to schedule it via UPI the prevent the transaction charges as I wish to move money every week? Several funds are not available from Coin. Wonder why ! Hey Palash, this fund isn’t available because the AMC isn’t allowing fresh purchases through BSE Star. When it comes to index funds, you have plenty of other choices. Don’t see this being an issue. What other funds are you unable to find? Hi, Every month manually I am adding SIP amount to Zerodha account. Is there any way it will automatically deduct SIP amount from my bank account (like standing instruction) ? You can create a standing instruction on your netbanking to our account. Our account details are available here. I want to start sip but after investment what is the procedure for widraw is online possible or have to visiteZerodha?? I had invested in mutual fund in coin through SIP. However, it is showing nothing when I check my portfolio..I invested on 2nd April. I am investing 25000 in Franklin low duration fund. My balance is mines my account but coin show still your order is processing .Iam placed order in 4 th april. Long time passed but fund not show in my portfolio. Best create a ticket on support.zerodha.com. Hi i have submitted for MF redemption of Baroda Liquid Fund, still redemption proceeds is not reflecting in my Account. When have you placed the redemption request? I have invested 500 and 1500 as 1st instalment…but it is showing investment as rs 500 only!!! Hey Subhashish, the SIP amount for your order is 1500. This will be invested on the 1st of every month, the next and first instalment order being placed on 1st of May. The initial investment was Rs. 500 which is what you’re seeing as the investment amount. i V.N.Vara Prasad i have invested 5000rs today so here showing Order sent to AMC. AMC is the asset management company that manages the fund you’ve invested in. I have started a SiP of 2500/- per 15 days and transferred 2500/- to zerodha account, but it says insufficient funds. I would like to know the reason for it. I am new and Just started Investment in Bluechip MF as a initial deposit 5000. My question is, Shall I deposit any amount in My SIP Account at any time without any restriction or Do I need to invest monthly once only. Kindly advice. Hey Priya, you have both options. You can create a SIP and the amount will be invested on the due date as well as invest some lumpsum amount whenever you want to.